We are happy to receive your donations of drums and any percussion instrument in any condition. We keep a register of donations so you can see how yours’ is used. There are many people/children of African, African-Caribbean descent between 10-18 who love drumming rhythm and music but do not have financial means to afford a professionally made musical instrument. We guarantee to put your donations to good use in the community. 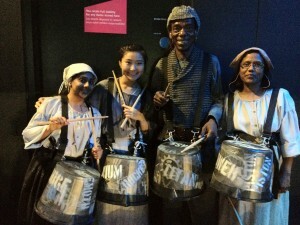 We can also recycle materials like wood sheets, metal oil barrels and plastic buckets (…like those used by the Pandemonium drummers at the London Olympic opening ceremonies performance), to make them into “Junk percussion”.